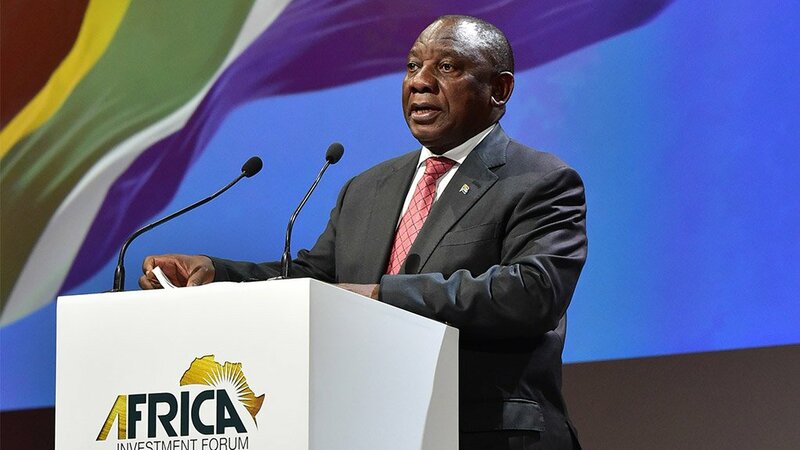 If Africa is to seize the opportunities of the future, it needs to mobilise large-scale, sustained investment, especially in infrastructure, President Cyril Ramaphosa said in his address at the Africa Investment Forum under way in Johannesburg this week. Organised by the African Development Bank (AfDB), the event has attracted hundreds of private- and public-sector delegates, including several African Heads of State and government, among them being President of Ghana, Nana Addo Dankwa Akufo-Addo, President of Guinea, Alpha Condé and President of Ethiopia, Sahle-Work Zewde. AfDB president Akinwumi Adesina stressed that the event had been designed to be “transactional” and reported 306 potential deals, valued at $208-billion, were being showcased. Sixty of those potential transactions, valued at over $40-billion, were the subject of special “boardroom sessions” aimed at fast-tracking the projects to closure. Picking up on the theme of partnership emphasised at recent domestic summits, including the recent South Africa Investment Conference where commitments worth R290-billion were made for South Africa for the coming five years, Ramaphosa said African governments could not bolster investment without business. The private sector and private markets, he added, were key participants in the African investment landscape, supported by the lending capacity of financial institutions. African countries would need to address governance challenges such as policy uncertainty, financial mismanagement and corruption. “As African leaders, we must demonstrate a firm commitment to act against corruption both within public institutions and the private sector. We must deal with burdensome red tape, provide policy and regulatory certainty, and strengthen our financial institutions,” Ramaphosa said. However, the South African President stressed that “Africa was on the rise” and called on investors to recognise the reforms that had already been introduced and the commitment of most African leaders to both democracy and economic development. Ramaphosa also highlighted the potential for business and investment that would arise as a result of further African economic integration, as signalled by the adoption of the Africa Continental Free Trade Area (AfCFTA) agreement in Kigali, Rwanda, in March. However, to extract “the real value” of the AfCFTA African countries needed to have the means to produce the goods that they wanted to trade.